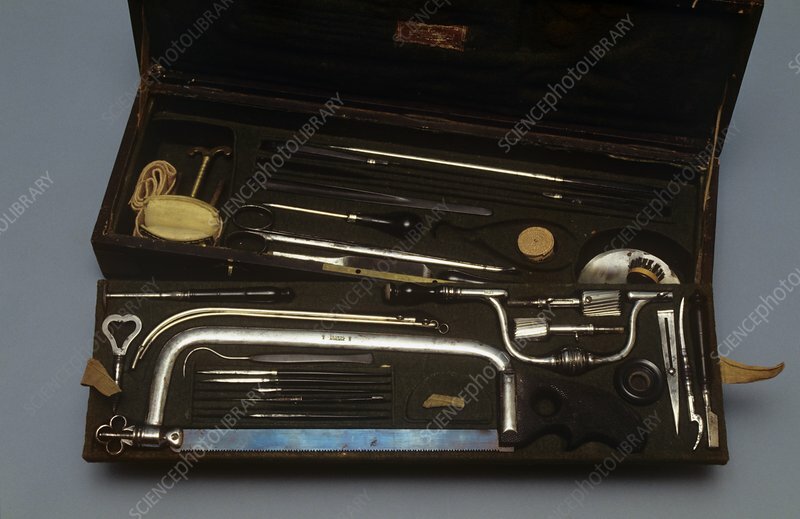 General purpose surgery set, dating from 1860, England. This set is complete with trepanning brace (for creating holes in the skull), and saws (for bone cutting in amputation procedures). The 19th century saw considerable developments in surgery due to the introduction of anaesthetics and improvements in hospital sanitisation.